Search all Rice Military homes and townhomes for lease and real estate listings in this popular neighborhood in the heart of Houston below. Renters will appreciate Rice Military for its proximity to Memorial Park, Washington Corridor, and Midtown/Downtown. Rental prices in Rice Military range from the $1,600 to over $7,000 with median prices just below the $3,000 mark. For information about Rice Military rentals or to schedule a private home showing, contact your Rice Military real estate experts today. And, if you haven't already, be sure to register for a free account so that you can receive email alerts whenever new Rice Military rentals come on the market. Want to rent or lease a home or townhome in Rice Military? Call Us at (713) 401-1886. Your neighborhood Rice Military expert REALTORS® and agents are here to help with the Rice Military housing market. The origin of the name comes from nearby Camp Logan, a World War I-era U.S. Army training camp, which was replaced by Memorial Park after the war. The Rice family used to own the land where Rice Military is currently located and sold it to Bankers Trust company for the equivalent of $743,000 in today's dollars. Quite a bargain given what the area has become. One of the most well-known members of the Rice family, William Marsh Rice, left behind a fortune to found Rice University. Once a rural community with blue collar bungalows, Rice Military began to change around the 1990s as artists began arriving in the area. By 2003 many young professionals moved to Rice Military to be in proximity to restaurants, theaters, and Memorial Park. In 2003 the community was trying to have a roundabout at Washington Avenue and Westcott Street created; that roundabout would link Rice Military with Downtown Houston. By 2008, the immediate Rice Military area had reached peak development as older bungalows were replaced with contemporary freestanding and attached townhomes. As a result, development and gentrification started spreading north toward Interstate 10 to encompass areas like Cottage Grove that residents started identifying as Rice Military. Rice Military is sought-after for its proximity to Memorial Park, Downtown, Midtown and Galleria/Uptown. Rice Military offers a vibrant and active lifestyle with access to fantastic retail, restaurants, and nightlife in Washington Corridor. Rice Military rentals prices range from the Rental prices in Rice Military range from the $1600 to over $7,000 with median prices just below the $3,000 mark. Where is RICE MILITARY Located? The original Rice Military Boundaries were Washington Avenue to the north, Westcott to the west, Shepherd to the east and Buffalo Bayou to the South. One of the main factors that draw young professionals and residents to Rice Military is its walking distance proximity to Memorial Park, one of Houston's largest parks. Memorial Park offers miles of trails for runners and hikers as well as a premier golf course. Rice Military's proximity to all of Houston's city centers means it has access to some of the best retail, restaurants, and bars in the city. Rice Military is 7-10 minutes away from the Galleria Mall, Post Oak Blvd, Highland Village and River Oaks District. Rice Military is 5 minutes away from Midtown's fantastic food scene. 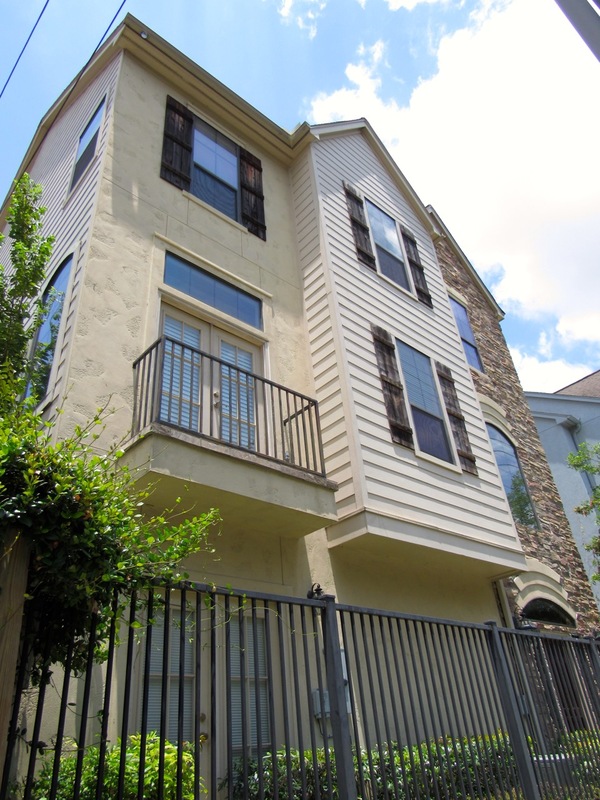 Thinking of renting or leasing a townhome in Rice Military? Let our expert Rice Military real estate agents help you navigate the path to a great Rice Military rental. As local REALTORS® experienced in working with renters in Rice Military, we're well-versed in the market dynamics unique to the Rice Military real estate market. Contact us today to discuss how we can help!